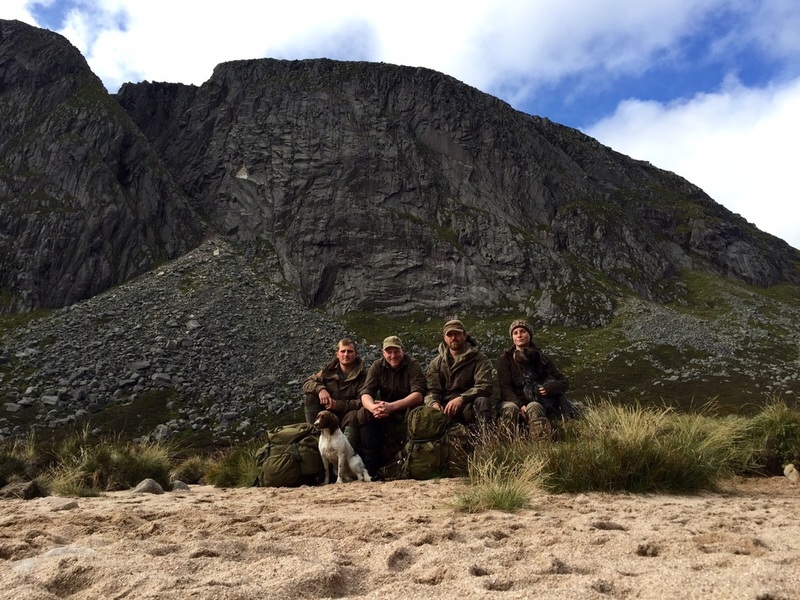 The Dubh Loch team taking a break from the midges under the towering cliffs of Creag an Dubh-Loch. This was the first project of the new COAT "The Mountains And The People" project. The site sits above Loch Muick on the path leading to Dubh Loch in the Southern Cairngorms and is surrounded by high ground all around and in quite deep peat. The damage was quite extensive and the ground very poor draining with lots of springs on or near the path which caused lots of problems, all stone had to be sourced on site as did all the aggregate. The project required quite a heavy touch with large drains to deal with amount of water draining down the cross slope, we also needed to design and build it with the knowledge that Stalking Ponies from Balmoral Estate needed to use it which required a slightly different approach.